The DROP 24mm RDA by Digiflavor is the best RDA of 2017 according to Rip Trippers, The Vaping Bogan, Mike Vapes, Heathen & Vapingwithtwisted420! Features 4 large downward post holes allowing for easy coil placement, and maximum build space with open access to trim excess - maximizes simplicity and effectiveness. 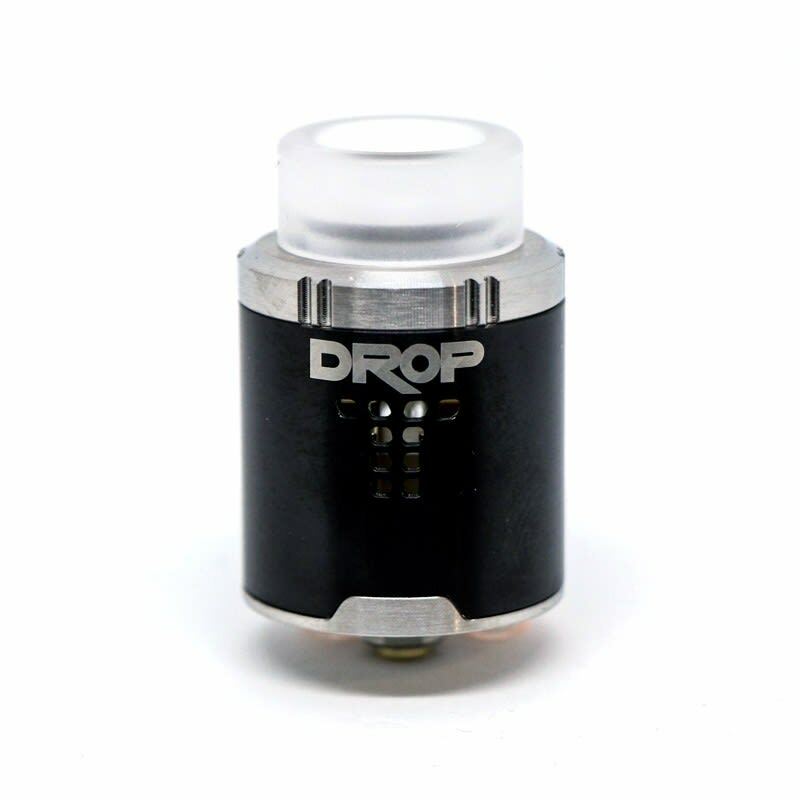 The DROP 24mm RDA by Digiflavor features 4 large downward post holes allowing for easy coil placement, and maximum build space with open access to trim excess. The best RDA of 2017 according to Rip Trippers, The Vaping Bogan, Mike Vapes, Heathen & Vapingwithtwisted420! Stepped restriction design allows for precise control of airflow to customize the draw and vapor density, and a lock position cap ensures air intakes are never misaligned. A deep well allows for heavy dripping without leaks, and a bottom feed 510 pin is included for squonking.